Today, I was just trying to digest the impact that the Zambian government’s ban on the importation of fruits and vegetables will have on the foreign-owned supermarket chains and local suppliers. One indisputable fact is that most of these supermarket chains are South African-owned and, therefore, prefer empowering their fellow South Africans by importing fruits and vegetables from South Africa to the detriment of Zambian suppliers. Because of this “Buy South African” attitude, many local companies have been muscled out of the market or certain manoeuvres have been employed to ensure that local competition is killed. Such methods may include lending institutions acting in a manner that paints some of their clients in bad light to create more business for their partners. My interest in the matter was re-awakened not so much because of the amount of money involved as the manner in which Stanbic acted, in flagrant breach of client confidentiality when it reported Savenda to the CRB for defaulting on instalments involving a US$540,000.00 loan facility obtained in 2007. There are many Zambian-headed companies and individuals who may have suffered in similar manner as Savenda Management Services at the hands of Stanbic Bank Zambia or indeed other banks whose motive is not really about helping the local business enterprises thrive. Herein, therefore, lies the public interest. 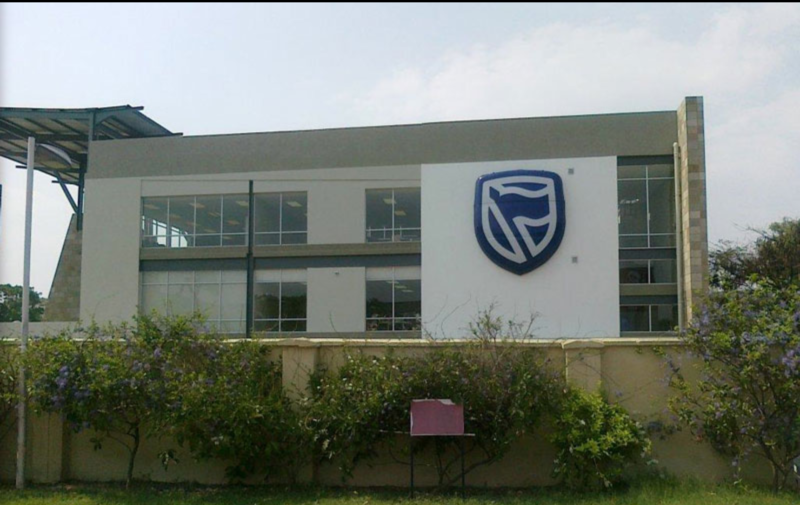 It is even a wonder that Stanbic Bank has found it convenient to appeal the matter despite it having acknowledged in a letter to Savenda that the “non-payments” had been a result of an internal suspense account and that the “anomaly” had been rectified. The question that begs an answer here is: Why did Stanbic Bank rush to reporting the apparent default before adequately investigating the matter within its internal system? How many other local companies have ended up losing business because of an overzealous bank negligently reporting a client to the CRB, resulting in a negative credit agency listing? In the case of Savenda, the negative listing resulted in the global supply management company losing several funding opportunities and harm to its reputation. In Judge Chashi’s words, Stanbic Bank was found to have been “culpably careless” in reporting its client without properly investigating the matter, hence his ruling that the bank pay K192.5m in relief and legal costs. One other interesting aspect that this matter brings back to light is the Banking and Financial Services Act which provides that banks maintain customer confidentiality unless a court order is obtained or the client’s consent is sought. How many Zambians are aware of this? The Savenda case is a lesson to all of us. By the way, Stanbic Bank was even granted leave to appeal out of time! How special is the bank? Wasn’t the presidential petition in Zambia’s election last August thrown out on grounds that the 14 days during which to hear it had elapsed. Does Zambia have two justice delivery systems? Looking at what Stanbic did in Tanzania, which is public knowledge, and how they were fined large sums of money, one remains to wonder whether the banks’ unprofessional conduct has not spread to their branch in Zambia. It is high time Zambians stood for each other to fight this unbecoming behavior of banks such as Stanbic as the citizens of this country have been condemned time and time again for allegedly being bad payers of loans without realizing that banks have their own motives and arrogance. Judge Chashi should be congratulated by all well-meaning Zambians for the landmark ruling which has made other investors to respect the Zambia court systems, as they now know that when faced with unfair treatment, they turn to the Judiciary for justice. So we need to be wary of the behavior of banks such as Stanbic which, at a glance, seems to be a bank that only bolsters the business prospects of South African companies, such as the South African-owned supermarkets dotted all over our country’s shopping malls. It is even surprising that seven months after Judge Chashi’s ruling, stakeholders in the banking and business sectors have remained mute. What is so special with Stanbic Bank? Who is conniving with who? I leave the judgment to you my fellow Zambians.